Abstract: Even though we are immersed under the ubiquitous action of the gravitational field, it was not until the XVIIth century that scientists started considering Fields as an important new idea. Probably the first picture of a Field is the classical sketch by Descartes. During the XIXth century the notion of the electric and magnetic lines of force) were pushed by Michael Faraday. Building upon Faraday's experimental results on the lines of force, during eight years the young Maxwell developed the dynamics of the Electromagnetic Field. He presented his new ideas on December 8, 1864 at the Royal Society, near Piccadilly Circus (London). The new result of Maxwell unified Optics and Electromagnetism and, more importantly, pushed forward the importance of the idea of "Fields" in Physics. A bit over 150 years after Maxwell's lecture we can gauge its impact by the dramatic scientific and technological change it unfolded. In Physics the two scientific revolutions of the XXth Century (Special and General Relativity, as well as Quantum Physics) were triggered by Maxwell's results. On the other hand, the technological change Maxwell's result induced in particular in modern communications is overwhelming. In this talk I will review Maxwell's life and I will gently review his major scientific contributions. 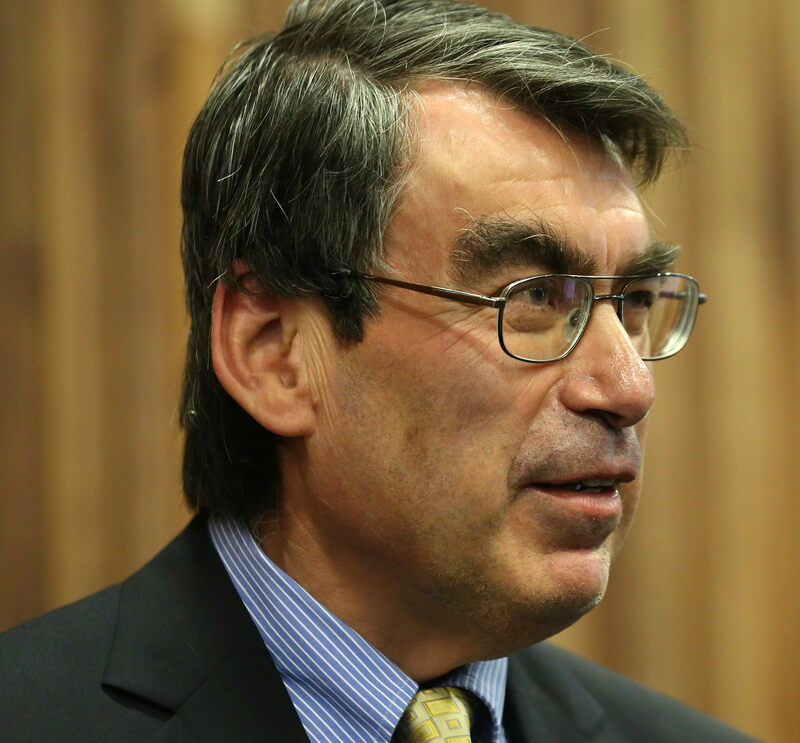 Speaker Bio: Rafael Benguria Donoso is a mathematical physicist working in Santiago, Chile, who has done notable research on quantum systems, nonlinear partial differential equations, spectral geometry, and functional analysis. He first studied electrical engineering before getting a doctorate in physics from Princeton. Among his distinctions have been a John Simon Guggenheim Memorial Fellowship, and his country's highest scientific honor, the Premio Nacional de Ciencias Exactas. 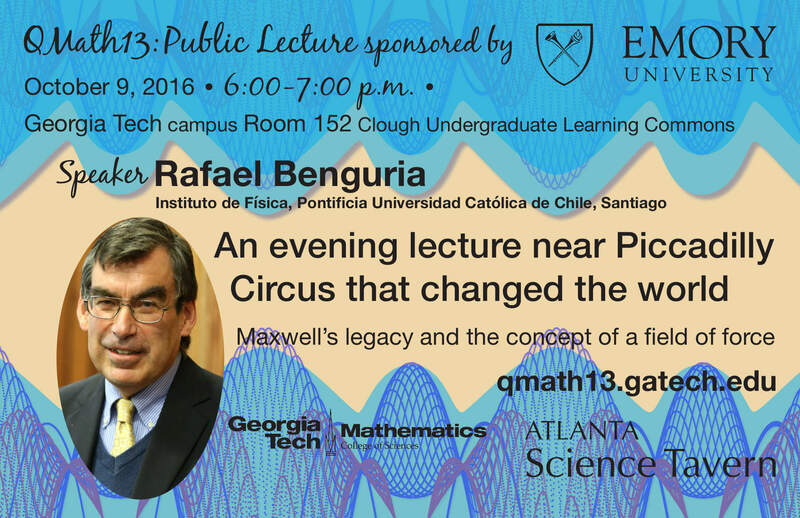 Benguria is also known for popularizing the lives and achievements of mathematicians and physicists. Help us advertise this event by posting a copy of the poster in your department.